I can warmly recommend it for anyone interested in computer science and/or statistics. 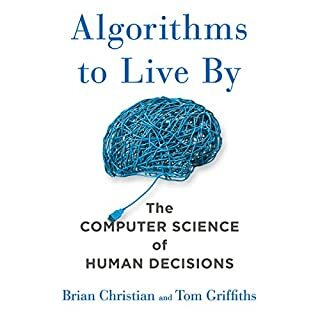 Topics of everyday life are viewed and discussed from an algorithmic perspective, always trying to be most efficient while keeping in mind restrictions and model assumptions. It adds a very nice flavor that Brian Christian himself narrates the book. I definetely liked his voice and style of reading. Overall I would definetely recommend this book.